Land available for farming or for development within jurisdiction of Firth Village. Property is currently being farmed, but Firth has this land in their comprehensive development plan to be future city lots for residential homes-both attached and detached or multi-family units. Firth is a growing community in the popular Norris School District. 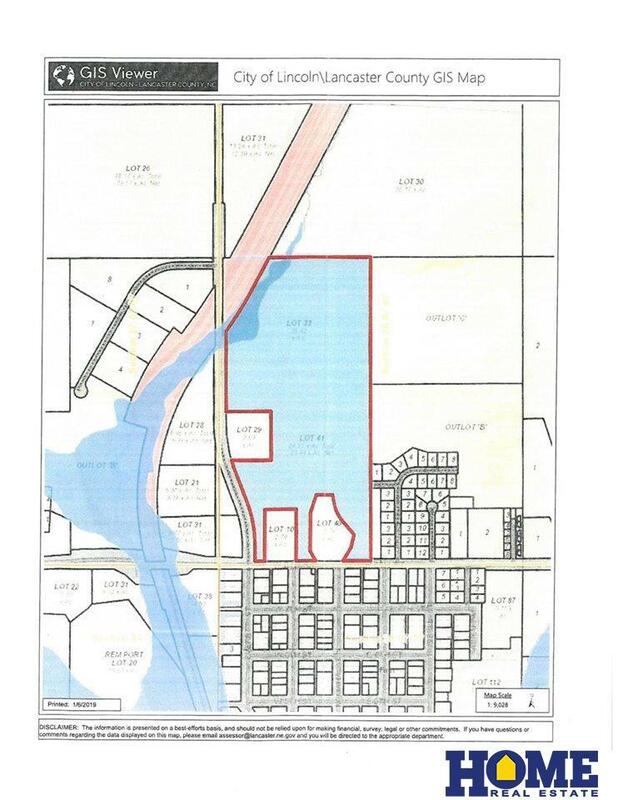 58.8891 Acres in irregular shaped tract. See attached map or parcel with the three carved out lots. There is a small portion of the land in the far NW corner that is in the 500 year flood plain; one of the carved out lots is a small detention cell for Water Management located in the southeast corner of the property. Other two carve outs are mini-acreage lots with detached residences. Agent is related to one of the sellers.Total acres are 58.89: dry land production acres is 56.72; waste is 2.18 ac. Lots 33 & 41 Sw, S26, T7, R7, 6th Pm City Of Firth.